Use my name (SSJ) as a code and get a $500 discount on a Transcend Infrared sauna pictured to the left! She will happily answer all of your health and product questions. For more detailed information in Infrared Saunas in general, which ones are the best, the myriad benefits of heat therapy and sweating, and what components you want to have in your home's personal sauna, click HERE. The Transcend TR2 pictured to the left, designed for two people, is the one I use in my home — the best 2-person Infrared Sauna in the industry by High Tech Health. It's my #1 health and vitality secret and I wouldn't be without it in my home; it's front and center in my health program. 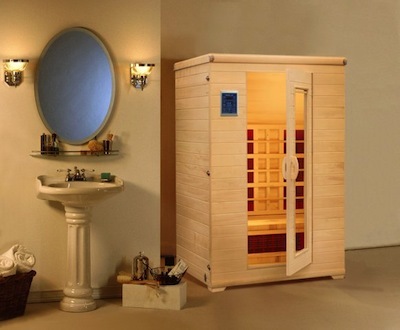 I also use their fantastic TR-3 Infrared Sauna for when I prefer to lie down and take a short nap. 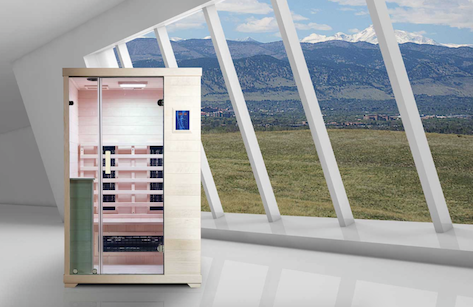 These Infrared Saunas by High Tech Health are the only ones with patented heaters that mitigate all 3 kinds of EMF (Electric, Magnetic and Radio). 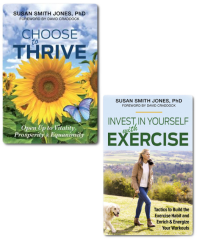 These are the best Infrared Saunas in the industry and are my favorites for reducing inflammation, making weight loss easier, assuaging autoimmune-related issues, and so much more! Using their Transcend will raise your health and vitality to another stratosphere. 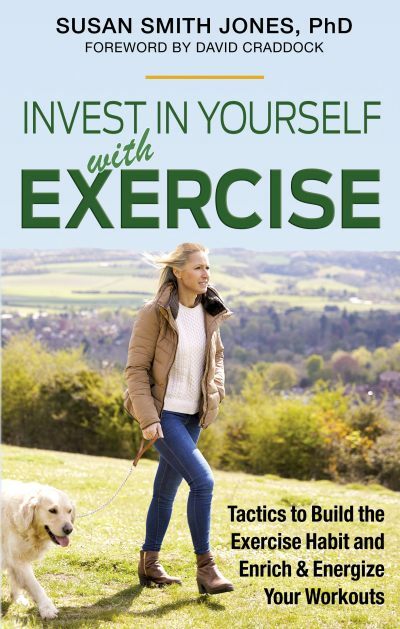 To listen to my radio interview on This Week in America, with host Ric Bratton, where we talk about Simple Ways to Keep Your Body Detoxified Year-Round — including a discussion on Infrared Sauna therapy, please click HERE. On another episode of This Week in America, we discuss in more detail than what you'll read below... Sweating Your Way to Vitality. Click HERE to listen now. Researchers have been studying the effects of saunas for decades when it comes to pain management and relaxation. Infrared saunas are relatively new compared to conventional saunas, but have picked up attention recently for helping naturally treat multiple health problems with little to no side effects. To the left in the photo is the TRANSCEND TR2, my favorite and the model I use all the time. While it seats two people, for one person, it's also just the right amount of space and very comfortable. See below for ordering information and how to save $500+ on your purchase. Saunas, infrared or otherwise, make you sweat. Sweating helps flush out toxins from the body and, in so doing, reduces its toxic load. 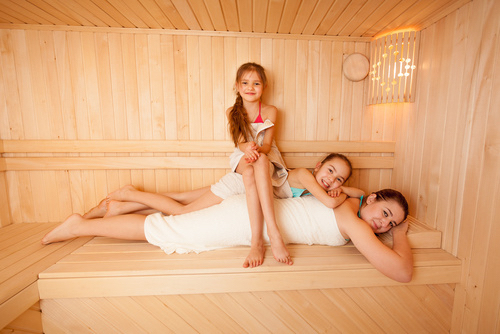 With infrared saunas, the sweating is deeper and more profuse, enabling your body to excrete a higher percentage of toxins than with a conventional sauna. Infrared saunas are also a great alternative for those who don’t like high temperatures or need to avoid them for medical reasons. The gentler heat of infrared saunas runs roughly 20 – 60 degrees lower, making them easier to tolerate. But no matter which type you choose, remember to get the OK from your doctor first before diving into a regular sauna routine. 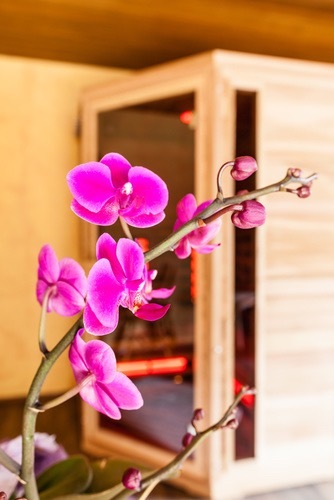 You don’t have to sit in an infrared sauna for hours on end to reap the benefits. For most people, all that’s needed is a few 15-20 minute sessions a week. 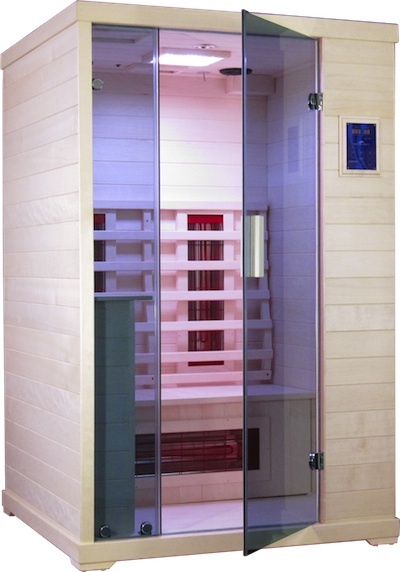 During your sauna, as you sweat, you’ll be stimulating better blood flow and circulation throughout your body. That increased circulation will help lower blood pressure, and make you feel good all over, relaxing tight muscles and easing minor aches and pains to boot. If you’re troubled by muscle or joint pain, or more chronic conditions like arthritis, infrared heat from the sauna can provide drug-free pain relief, reducing stiffness and inflammation. In addition, it has also been shown to improve the functioning of the endothelial cells lining the arteries. To read my article on Lowering Blood Pressure Naturally, click HERE. The plentiful sweating you’ll do during a sauna session will register immediately on the scale as weight loss. However, most of the weight loss will be “water weight” which will return when you re-hydrate. 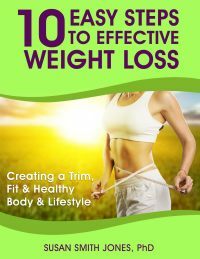 However, there is evidence that infrared saunas, because of their ability to penetrate the skin more deeply, increase metabolic rate and can help the body burn off anywhere from 200 – 600 calories in a half hour session. Keep in mind though, while a regular infrared sauna routine won’t melt off a spare tire, it can support a sensible diet and exercise plan by giving your metabolism a littl e extra boost while you literally sit and relax. And remember, hydration is essential if you’re using infrared (or conventional) saunas, so never skimp on liquids just for the sake of seeing lower numbers on the scale. Drink up before, during, and after – no exceptions! For more info or to order a Transcend TR2 or TR3 Infrared Sauna, the two I own and use regularly, contact Emery at High Tech Health International, Inc. Senior Detoxification & Product Specialist at: 800-794-5355 (within USA and Canada) or 303-413-8500, both Ext. 813, MT, 8 - 4. They come in different sizes and shapes to fit in the tightest spaces in your home or office. Get a whopping $500.00 off your purchase when you mention my name (SSJ).